These days we spend hours over our smartphones and very honestly if our phone isn’t working for any reason even for few minutes we get hyper. Some of the reasons can be forgetting your lock code, lock pattern, etc. Also, someday your smart kid might just have changed the lock pattern without your knowledge, and you have no survival to this problem :D. Super pissed even at the thought of having your device locked!! But you need not really be!! We, here come up with a solution to your problem- dr.fone Unlock (Android). dr.fone Unlock (Android).. Have you heard of it before? No!! 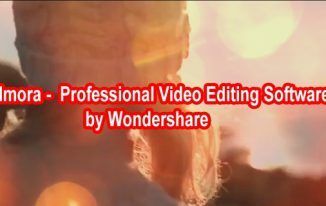 Here, we introduce you to this amazing tool. So, you would all have a list of questions already in your mind right now. What is the product about, what are its key features, how does it work and many more. Patience!! All your queries will be answered while you go through the post. We would ensure you be left with no questions once we take you through the product and its functioning. What is dr.fone Unlock (Android) useful for? dr.fone Unlock (Android) – as its name itself says, it is a tool to unlock the Android phone without Google account and without losing data. The device can get locked due to multiple reasons, and it might not be accessible by you. Dr. Fone Unlock (Android) enables you to unlock android phone without Google account in just a few simple steps within minutes. What are the key features of dr.fone Unlock (Android)? Unlocks Android device within minutes. 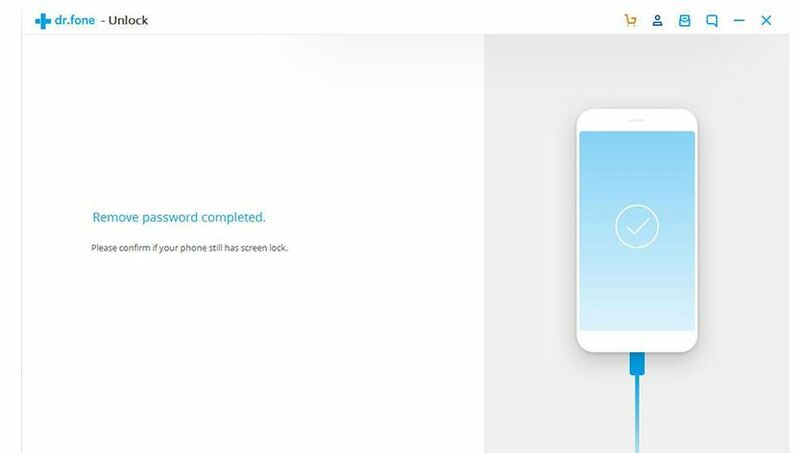 Unlocks locked Android phone without losing data. It works seamlessly with Samsung and LG devices. It is very easy to use. There is no need of any knowledge about the technology. It is completely secure tool. Yes, surely when I unlocked my LG G4, I absolutely took no time and it was very easy to use. I was really worried about the data loss. But, I had it all as it was before unlocking the device. dr.fone Unlock (Android) proved to be 100% secured. dr.fone Unlock (Android) can remove passcodes of patterns, fingerprints, PIN or passwords. That means almost all commonly used passcodes can be removed. However, dr.fone Unlock (Android) currently supports few Samsung and LG devices. Believe me, I tried with my LG G4, and in no time I learned how to unlock LG Android phone without Google account and the passcodes of fingerprint and pattern lock were removed. Indeed! I was super relaxed when I unlocked Android phone pattern lock without losing data in my device. 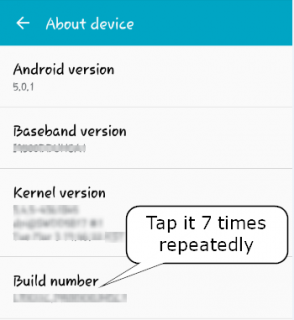 How to unlock locked Android phone without losing data? Step 2: Click “Unlock” from the options on screen. 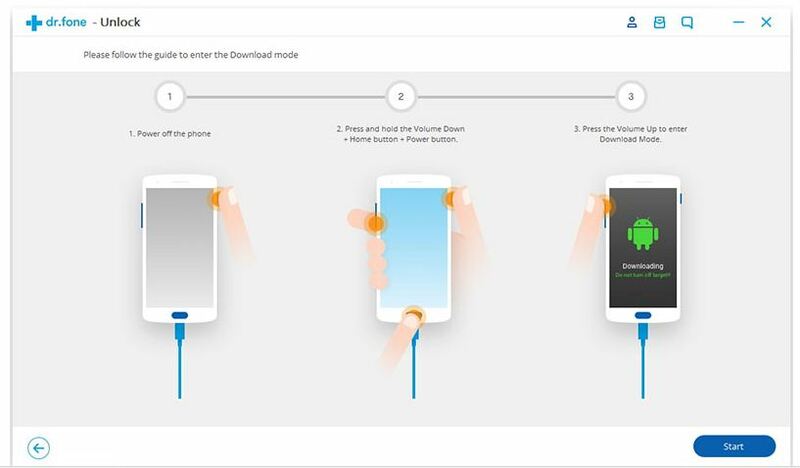 Step 3: Connect your Android device to the computer via USB cable and enable USB storage. Then, click “Start” to start the program. 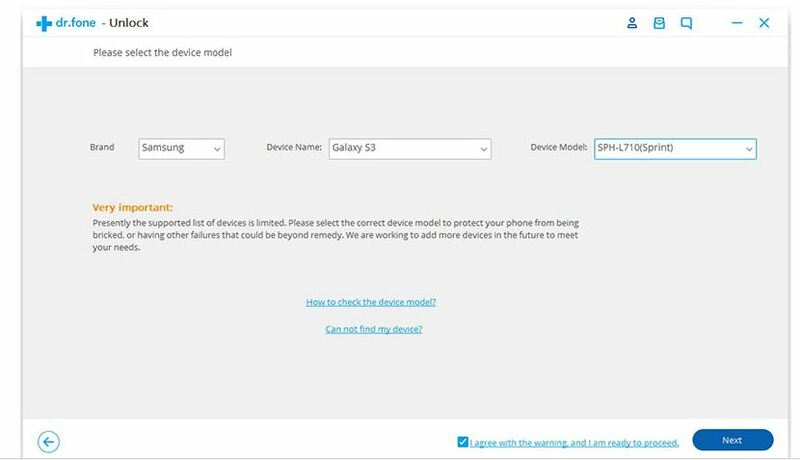 Step 4: You have to select the device model. Ensure that you have selected the right device as each device has a different recovery package. Further click “Next”. 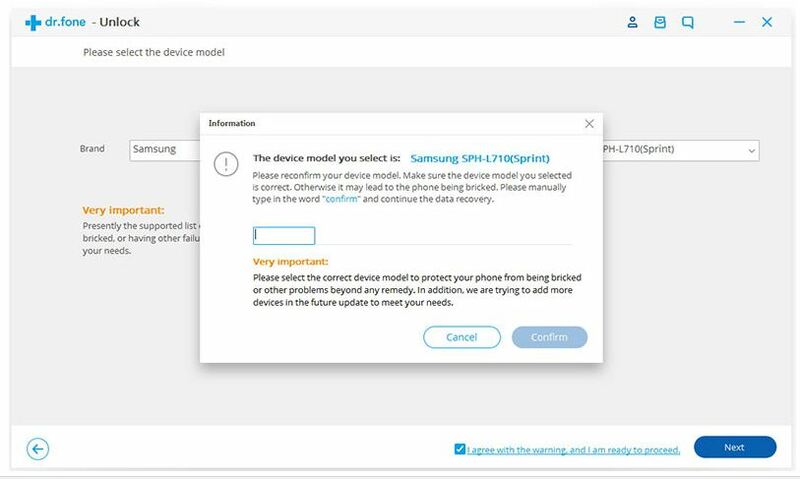 Step 5: A confirmation would pop up, select “Confirm” and ensure that you have selected the right device. Press and hold Volume button + Home Button + Power Button at the same time. Press Volume Up to enter download mode. 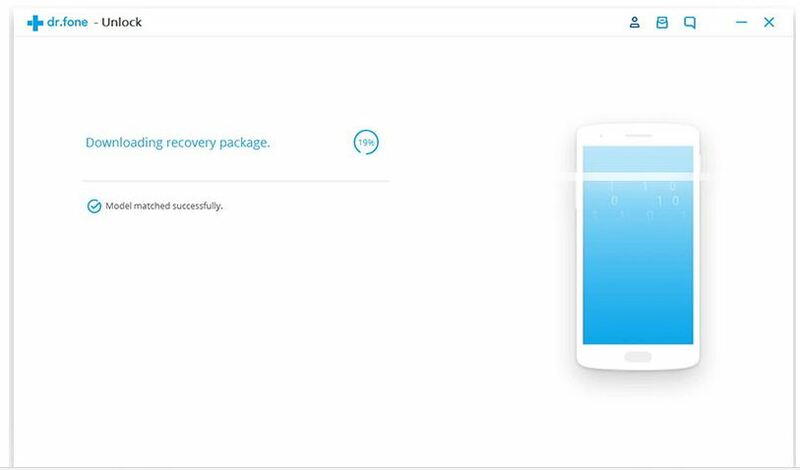 Step 7: Once the device enters “Download Mode”, it starts downloading recovery package. You just have to wait for the download to get completed. Step 8: Once download is completed, dr.fone automatically starts removing the screen lock. During this process any data on the Android device is not harmed or lost. Once the process is over, the password is removed and your data is seamlessly accessible. Great right!! Now, you need not visit any store or wait for customer support to help you for unlocking your locked Android device. Just by sitting at home within few minutes and few simple steps you can yourself unlock your Android device easily. Dr.fone Unlock (Android) has proved to be a simple solution to the problem of unlocking Android device. 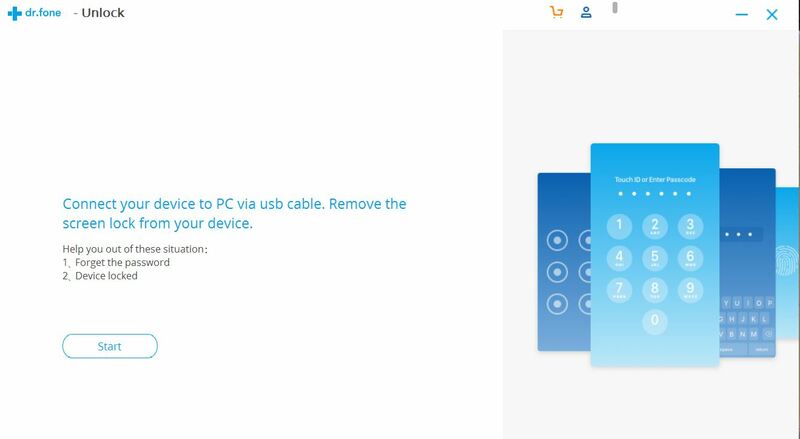 Just that, we feel it would be great if Wondershare adds more devices to the list of supported devices. 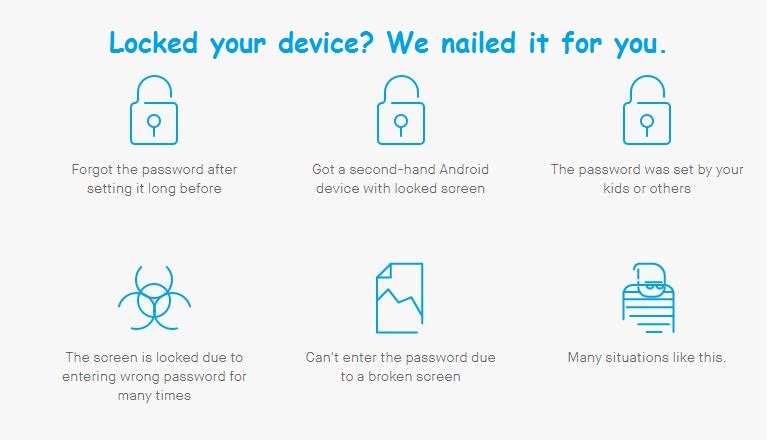 So, we hope you guys are no more worried about your child fiddling with the lock pattern of your Android phone or you giving many attempts to unlock your device when you can’t really remember the passcode. 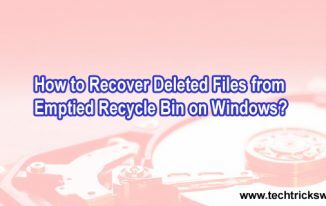 How to Recover Deleted Files from Emptied Recycle Bin on Windows? This is an informative post for Android users. I have never faced such a situation when my Android phone get locked, but it can happen anytime. So, this post will be very useful to me and for Andriod users. You have well explained the process of unlocking the Android phone using Dr. phone unlock tool. Thanks you so much for sharing. Will share this informative post. Unlocking phone is the biggest problem we all face, we afraid of losing all important data in our phone. Maybe in future I need this tool.